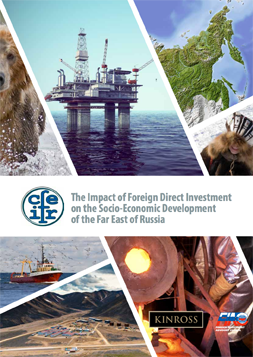 established in 1994 as a result of the combined efforts of the Russian government and foreign businesses to improve the investment climate in Russia. 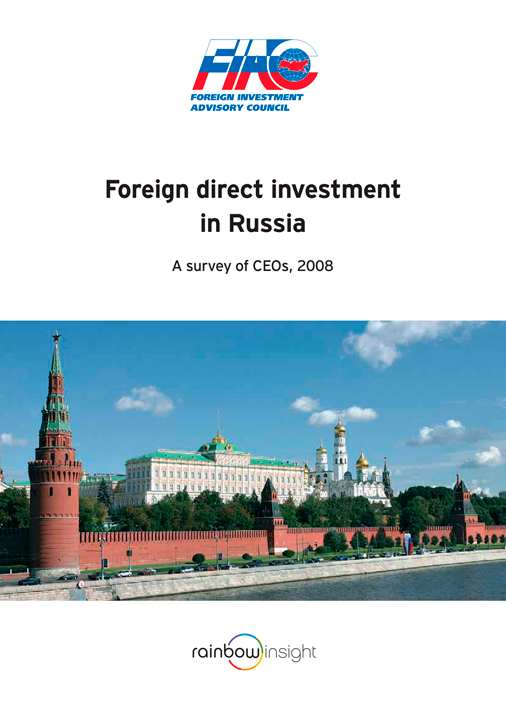 The Foreign Investment Advisory Council was established in 1994 as a result of the combined efforts of the Russian government and foreign businesses to improve the investment climate in Russia. 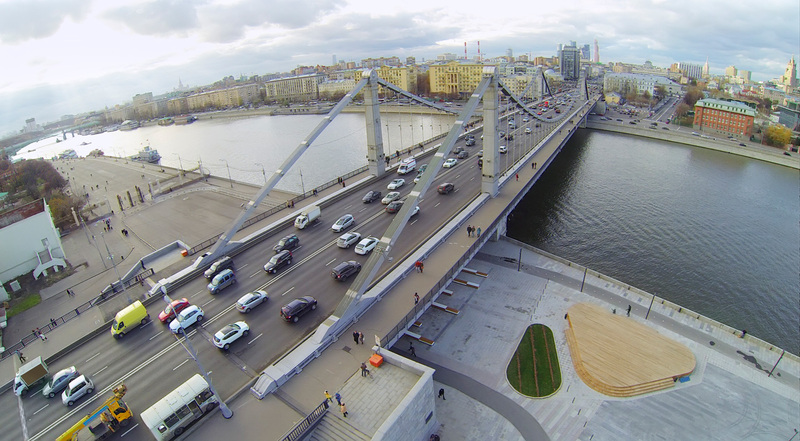 The key task of the council is to assist Russia in forging and promoting a favorable investment climate based on global expertise and the experience of international companies operating in Russia. 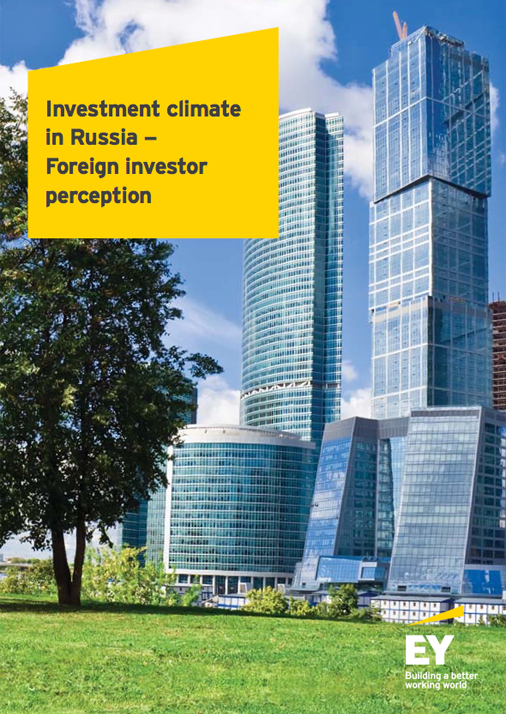 FIAC functions on the basis of direct dialogue between the chief executives of investor companies and the Russian government, with a focus on the crucial aspects of fostering a healthy investment climate. 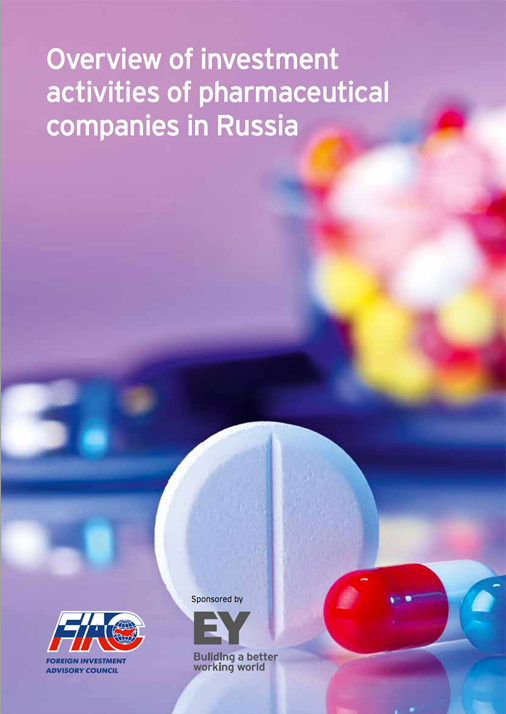 The council is chaired by the Russian Prime Minister and includes 53 international companies and banks: 3M Company, ABB Ltd., Abbott Laboratories, Arconic Inc., AstraZeneca, BASF SE, Bayer AG, BP, BAT, Cargill, Inc., Carlsberg Breweries A/S, Danone, Deutsche Bank AG, ENEL S.p.A., Equinor ASA, Essity Aktiebolag (publ), EY, Exxon Mobil Corporation, Fortum Corporation, Henkel AG & Co. KGaA, IKEA Group, International Paper, Kinross Gold Corporation, LafargeHolcim, Mars, Incorporated, METRO AG, Mitsubishi Corporation, Mitsui & Co., Ltd., Mondelez International, Inc., Nestle S.A., Novartis AG, Olam International Limited, PepsiCo, The Procter & Gamble Company, Repsol, ROCKWOOL International A/S, Royal Dutch Shell plc., Saint-Gobain, Samsung Electronics Co., Ltd., SANOFI, Schneider Electric, Siemens AG, Société Générale Group, SOLVAY Group, SUN Group, Takeda Pharmaceutical Company Limited, Tetra Pak, The Coca-Cola Company, Total S.A., UniCredit, Unilever, Uniper and The World Bank. 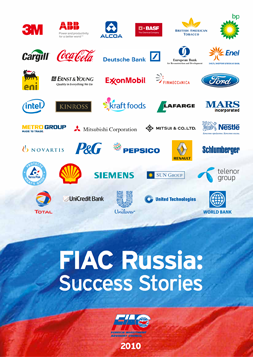 Throughout the year FIAC focuses its efforts on major Russian economic and industry sectors covered by relevant working groups. The working group is coordinated by Unilever N.V., ABB Ltd. The working group is coordinated by Mondelez International, Inc., Saint-Gobain. 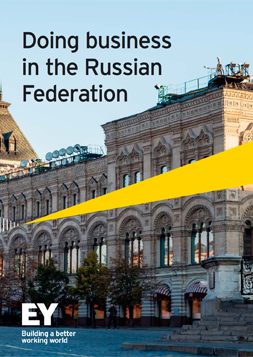 The working group is coordinated by EY, Mars, Incorporated. The working group is coordinated by Nestle S.A., PepsiCo. The working group is coordinated by Novartis AG, AstraZeneca. The working group is coordinated by Deutsche Bank AG. 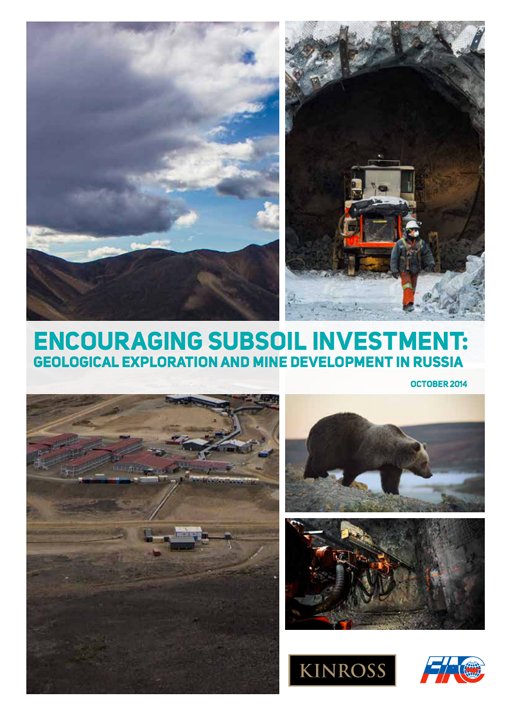 The working group is coordinated by Exxon Mobil Corporation, The Coca-Cola Company. The working groups are composed of FIAC member company officials and the heads of the ministries and agencies concerned. 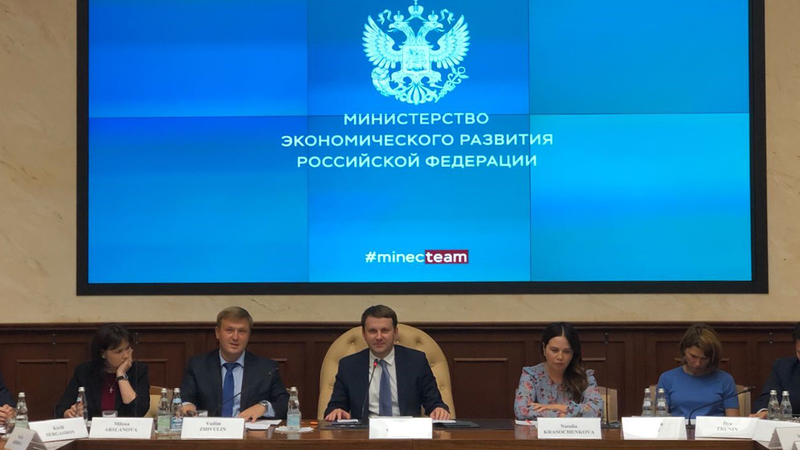 They hold regular meetings during the year, the main goal of which is to develop specific actions and recommendations on the key issues of the Russian economy. FIAC holds annual sessions with the government to discuss priorities in investment policy, analyze possible amendments for the resolution of current issues and identify measures for coordinated improvement of the investment environment, considering the interests of all parties involved. 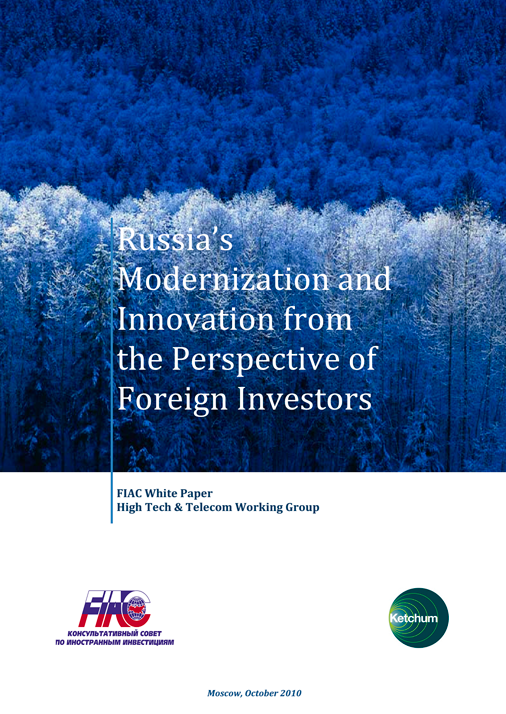 In December 2009 the Chairman of FIAC, Russian Prime Minister proposed and the Council adopted new tasks and principles of FIAC to meet the challenge of converting the Russian economy to innovation-based development. For this purpose, FIAC's activities have been regulated by Decree No. 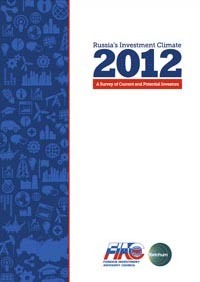 1141 of the Government of the Russian Federation of December 9, 2009.
expert support of priorities in work of the government, including the regulatory and legal framework. 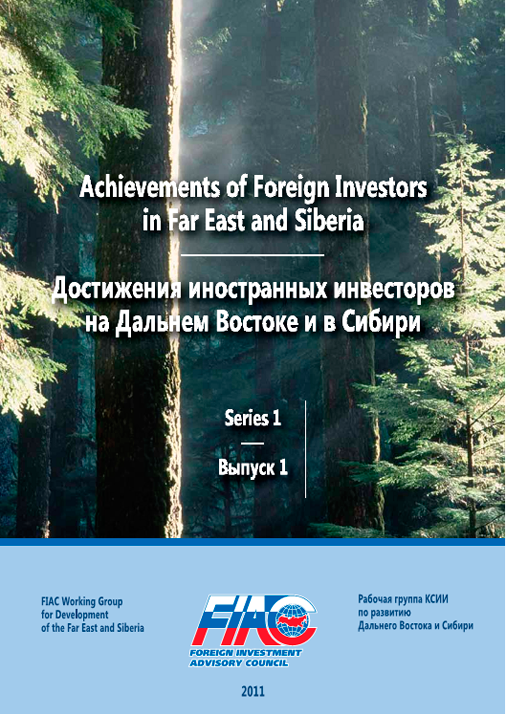 FIAC also plans to be active in such areas as "Natural Resources," "Development of the Far East and Siberia," "Innovative Development," "Improvement of tax law" and "Improvement of Russia’s Investment Image." During the year, from one plenary session to another one FIAC's activities are coordinated by its Executive Committee, comprising the heads of working groups and chaired by the Minister of Economic Development. The Executive Committee plays an important role in coordinating FIAC's activities. 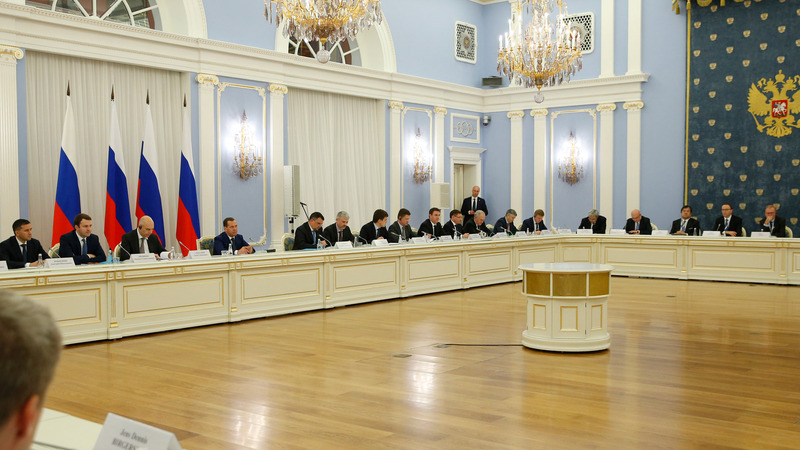 At committee meetings, the most critical issues are discussed: FIAC's involvement in measures to engage investors in Russia's real economy sector and securities market, preparation of decisions and follow-ups on decisions made at FIAC sessions and matters related to the rotation of FIAC members. FIAC's membership is continuously updated. Members are rotated in accordance with the "Regulation on FIAC Member Rotation", which establishes the principles of FIAC membership and the procedure for accepting and removing members. 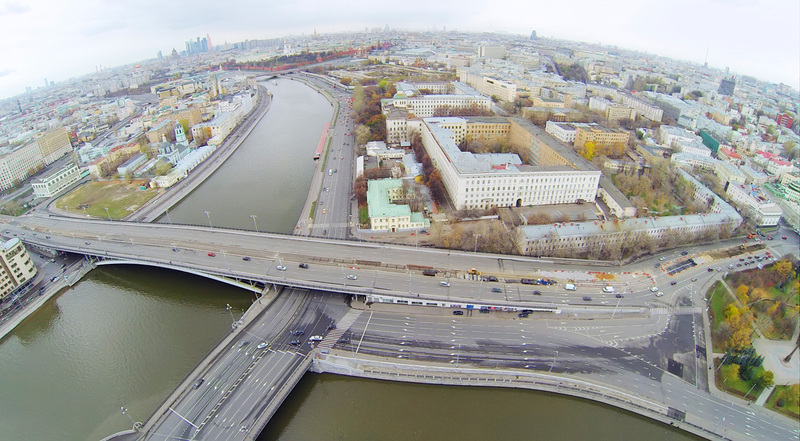 FIAC membership is open to the companies that do business in priority areas for investment in the Russian economy, are active on the Russian market, take an active part in Russian economic reform and promote a positive image of Russia as a good place to invest. 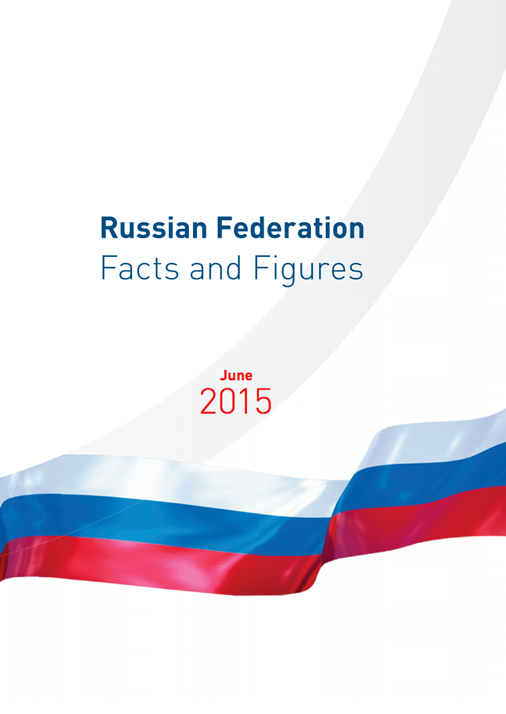 Russia’s Regions: New Areas of Growth in the Central Federal District.